Chris is passionate about collaborating to find the best possible solution to a client’s infrastructure challenge. Chris and Murraysmith go way back, having partnered on many reservoir projects throughout his career. Now, as an official Murraysmither, Chris is a vital part of our dynamic business development and engineering teams. Previously a Board Trustee of PNWS-AWWA, Chris remains an active and enthusiastic member of the organization. He loves being able to represent the interests of the water industry and provide leadership opportunities to professionals. 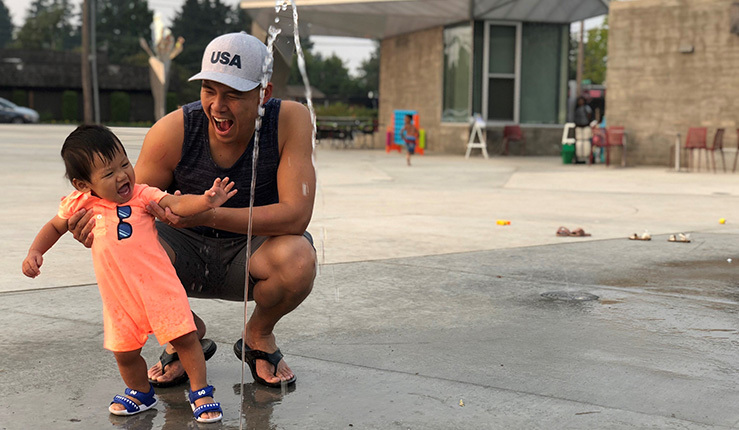 During his down time, Chris loves to be on the move – climbing, running, playing tennis, or traveling – and spending time with his wife and son. On your bookshelf: Calvin and Hobbes is a permanent fixture! Career in your next life: I wouldn’t change a thing – I would do the same thing all over again! What would surprise people about you? In my past life, I was part of a hip-hop dance team.